Helen Megaw who’s birthday it would be today was, alongside Kathleen Lonsdale and Dorothy Hodgkin, a pioneer of crystallography. Where Lonsdale made great leaps in molecular crystallography and Hodgkin paved the way for understanding larger molecules, Helen Megaw made a great contribution to our understanding of minerals and in particular perovskites. 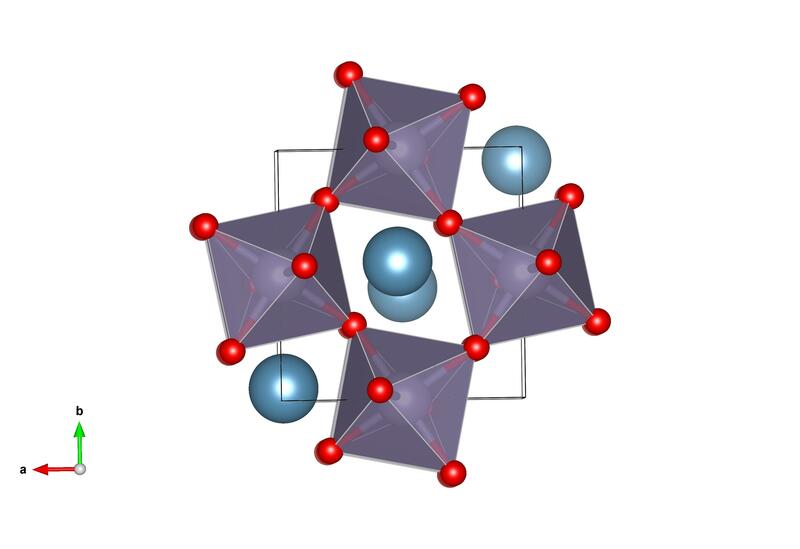 Perovskites do keep popping up on the crystallography 365 blog, and that really does emphasis how important the understanding of this crystal structure is to a range of sciences, from the depths of our Earth to materials science. Helen Megaw was the first to work out the structure of a perovskite, from her work on barium titanates. This pioneering work led to this perovskite material, calcium tin oxide, being name Megawite after her. She also made a great contribution to the promotion of crystallography to a wider audience, instigating the ‘Atoms to Patterns’ exhibition which featured in the 1951 Festival of Britain. Bringing together the big name science of the day, the exhibition brought atomic drawings to patterns on everyday objects – curtains, plates, ties and ashtrays. Megawite was identified by Galuskin et al in 2011, it is #9015771 in the crystallography open database.